Brokerage is an independent commercial activity which consists in putting a client (the insured party) in touch with an insurance company. The insurance broker acts as agent of its client; as such, he will use its expertise and market knowledge to identify specific risks to be covered and find the most suitable quote and the most advantageous for the client. 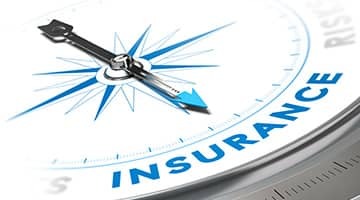 Working with an insurance broker therefore allows to an individual, a small business, a large company or a local authority wishing to subscribe an insurance policy to significantly save time and money when they choose an insurance contract and during its lifecyle. Depending on your request, we will provide you a consultation, a free quote or an online comparative simulation so that you can save time. An independent professional quickly identifies the available offers on the market in line with its need and maximizes its chances to find a better offer. Work of the insurance broker does not stop at the signing of the contract. He is also in charge of follow-up and ensures compliance with its terms. It may also make proposals to his client when he identifies more advantageous offers on the market or provide assistance to the termination. When claim strikes, the Broker take care of the exchanges between the insured and the insurance company. Through an insurance broker it still allows the customer to save valuable time and increase his chances of getting compensation. Finally, the broker is also there to warn the various clauses of your contract terms and conditions to obtain full compensation.